The Ford Mondeo truly is the benchmark at this price point. It's better looking and more engaging to drive than the VW Passat and more affordable than the BMW 3 Series. Along with all of its other merits, strong sales mean that it isn't difficult to find, so there's really no reason not to. 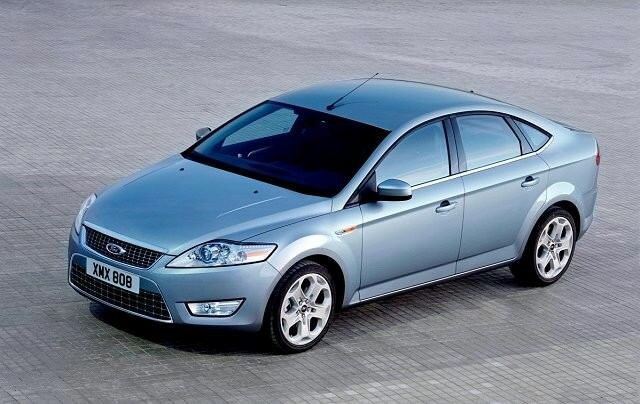 The Ford Mondeo not only defines the family car segment but it's also the car to beat in this class. The Ford has pretty much every base covered - it's great to drive, comfortable, extremely spacious and it looks good. What's more, there is a series of very clean and frugal engines available. The only downsides are its sheer size and high prices from new. It may have been around for relatively short time, but there's a multitude of engines to choose from. Early petrol options consisted of 1.6-, 2.0- and 2.5-litre units, while a series of 1.6- and 2.0-litre EcoBoost engines arrived in 2010 adding power and low emissions to the petrol range. Diesels are equally plentiful - they began with 1.8- and 2.0-litre TDCi units, while a wonderfully smooth and powerful 2.2-litre version arrived in 2008. The 1.8 TDCi was replaced with a clean new 1.6-litre version in 2011. Like the engines, trim levels aren't exactly lacking. There's Style, Zetec and Titanium. Don't forget that the Mondeo is also available as an even larger estate, should you need the extra room. You can't beat the TDCi diesels for all-round ability. The 2.2 is lovely; it's fast and silky smooth, but it's a bit too big and dirty to recommend over the smaller engines. The 1.8- and 2.0-litre TDCis just do everything well - they're cheap to run and strong performers. If a nearly new model is on your radar then the EcoBoost petrol variants are well worth a look, too.